Farm visits are always fun, but they’re especially great at the Sunflower Farm Creamery in Cumberland, Maine. Why is this place such an attraction? It’s because of some of the farm’s residents — the Nigerian Dwarf goats! These cuties aren’t just for aesthetic purposes, they also help the farm. These little creatures contribute to their range of dairy products which are sold between May and January. They may be small, but they produce a surprising amount of milk. These goats can also breed in any season which makes them ideal for farmers as they can stagger breeding throughout their year. The motto behind the farm is that happy goats make better dairy products! Each goat at the farm has a name, and the staff knows their unique personalities very well. The workers are very caring and even understand how each goat likes to be milked. During the springtime at the farm, there are lots of goat kids running around, and since Maine isn’t the hottest location, these little ones need to be kept warm. However, there was a simple solution for this; it was time to get production going on some pajamas for the baby goats! 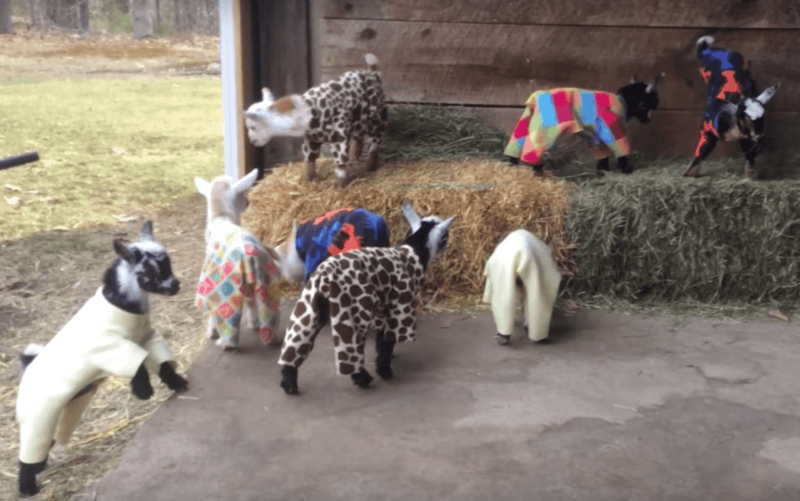 A video of the baby goats playing in their PJs got almost one million views online, and since then, people have started to send pajamas for the goats to the farm. The farm decided to actually make another video to put online so that the people who had generously made the little pajamas would be able to see them on the goats. 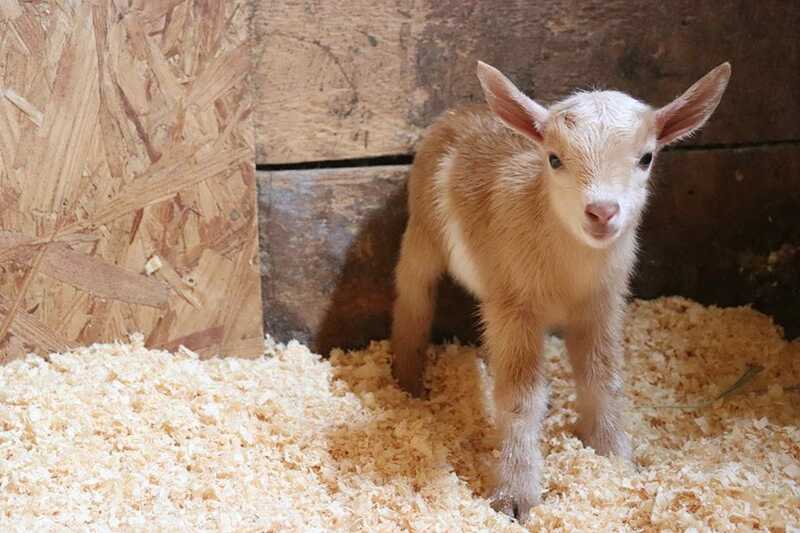 The goats continue to frolic and show off their sweet duds to the world online, and we have a feeling that this is going to become a popular event each year to see the new batch of kids in their pajamas.